The Global Risks 2014 report highlights how global risks are not only interconnected but also have systemic impacts. To manage global risks effectively and build resilience to their impacts, better efforts are needed to understand, measure and foresee the evolution of interdependencies between risks, supplementing traditional risk-management tools with new concepts designed for uncertain environments. If global risks are not effectively addressed, their social, economic and political fallouts could be far-reaching, as exemplified by the continuing impacts of the financial crisis of 2007-2008. Copyright 2014 by the World Economic Forum. 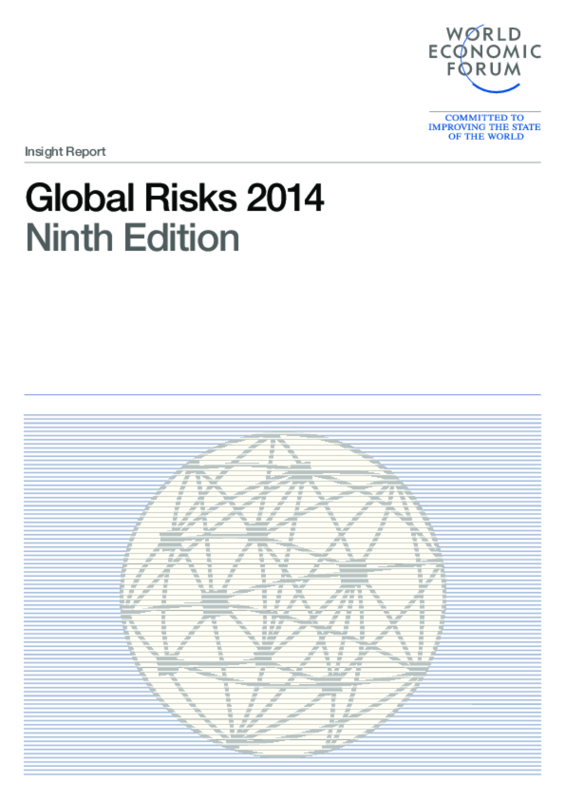 Title: Global Risks 2014, Ninth Edition.